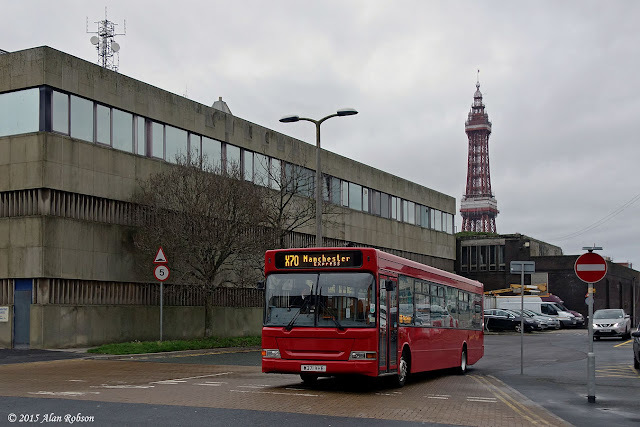 Catch22Bus resumed operation of their X70 Red Rocket Express from Blackpool to Manchester on 21st November. 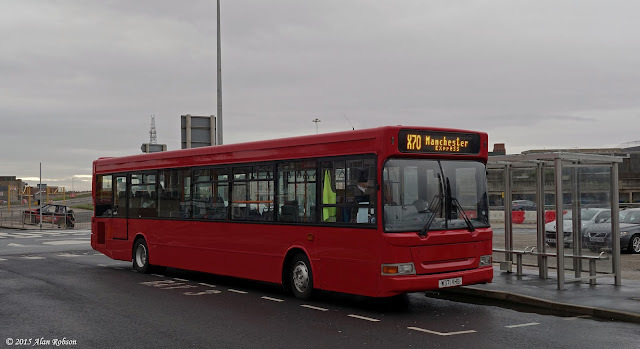 Plaxton bodied Dennis Dart W371 VHB has been painted in an overall red livery for use on the express route. The seasonal service is currently operating on a daily basis, and more information and bus times can be found on http://www.redrocketexpress.co.uk. 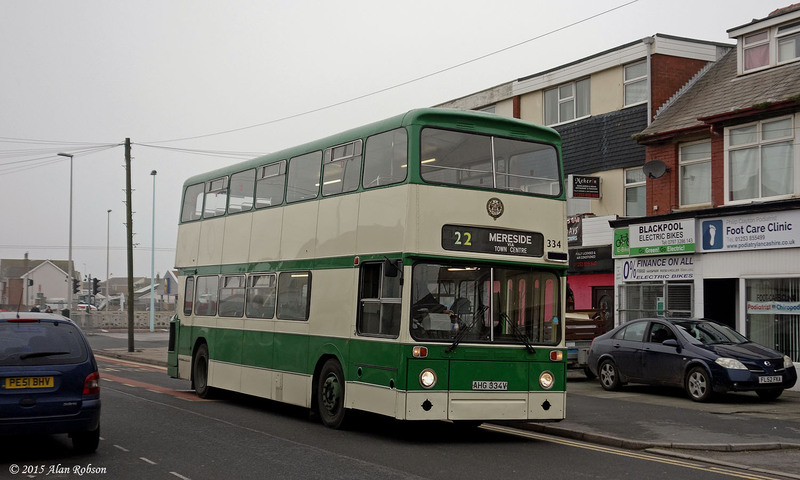 Former Blackpool Leyland Atlantean 334 (AHG 334V) made a brief foray in service on the 22 from Mereside to Cleveleys and return on Sunday 1st November. This short outing was the first time that an Atlantean has been used on the 22 route since 2001.